Rabalder Mc » BIG JOS PASSED AWAY LAST NIGHT AFTER A SHORT BUT FURIOUS BATTLE WITH CANCER. BIG JOS PASSED AWAY LAST NIGHT AFTER A SHORT BUT FURIOUS BATTLE WITH CANCER. 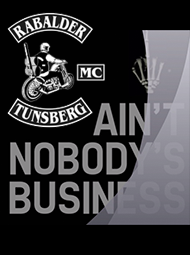 Rabalder Mc Tunsberg wants give our condolences to his family and brothers. RIP Man.